For the possibly non-existent audience of Spawning Tool blog readers who don’t follow /r/starcraft or Team Liquid, we’re very excited right now about our partnership with Team Liquid. We started talking to them at the end of last year and formally announced it at the beginning of the new year in this article, Spawning a New Partnership. The article goes much more in-depth than I will here, but the partnership is based around what we see as a very symbiotic relationship between our app and TL’s content. Through the Overwolf platform, the Spawning Tool Build Advisor lets you see build orders in-game. Through their community, TL supports strategy content creation with TL Strategy and the PiG Daily. Together, StarCraft players have the best, current strategy whenever they start a game. We appreciate all of the community feedback provided on the TL thread, Discord channel, Twitter, and wherever else you have found us. Hopefully you have already seen some minor improvements and bug fixes, but we have much more planned for both the website as well as the app. We are very well aware of how demanding StarCraft is, both strategically and mechanically, but we also know how rewarding it can be. 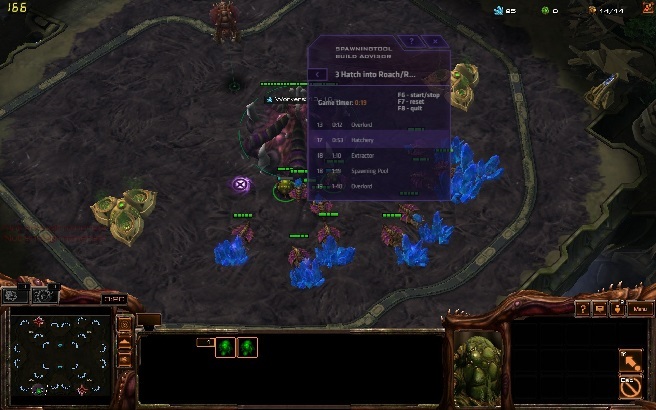 One repeated piece of feedback was how helpful the build order overlay would be to bringing back lapsed players or convincing friends to start playing StarCraft. That’s something that we have taken to heart, and we are excited to participate in growing the active StarCraft community! We at Spawning Tool have been thrilled by the engagement and enthusiasm from the community in using our site. So far, we have had tens of thousands of replays uploaded and over 200 build orders shared. However, the biggest limitation and most common request we have is that you can only access the data from the browser. To address that, we’re excited to announce the Spawning Tool Build Advisor, the best way to learn a build order. Through Overwolf, the Build Advisor allows you to follow a build order live with an in-game overlay during your game. Browse through the builds listed on our site, then select your winning strategy to use during any ladder or custom game. As soon as the game starts, the overlay will sync with the in-game timer and walk through each step of the build so you don’t miss a thing. And that’s it. We hope you find the app as useful as we have. As always, if you have any feedback, please reach out to us on twitter @spawningtool or via email spawningtool@gmail.com . We would love to know how we can improve your StarCraft.